If you want to drive yourself crazy, notice how often you hear the word “drive” in workplace conversations. Drive for results. Drive for performance. Drive ____ (fill in the blank with your organization’s current focus). Here’s one that really drives me crazy: We need to drive engagement. The worst is some version of: We need an incentive to drive motivation. Do yourself and the people you lead a favor. Stop thinking you can drive people. You can drive cattle, drive a car, or drive a golf ball. But driving people for results, performance, or motivation, only drives them crazy. 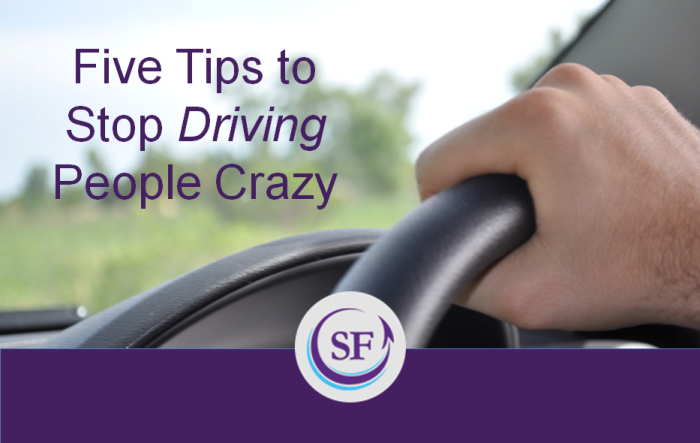 Five questions to determine if you are driving people crazy — and tips to stop it! Over the next week, catch yourself when you utter the word “drive.” Notice if your use of the term “drive” belies potential beliefs, values, or practices that maybe sabotaging your results and debilitating the people you lead. 1. 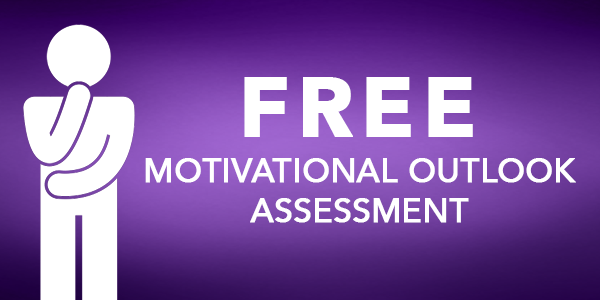 Do you have an underlying assumption that people don’t want to achieve their goals? Is “driving performance” a euphemism for giving people a kick in the backend? Are you “driving performance” because you’re afraid people will underperform? 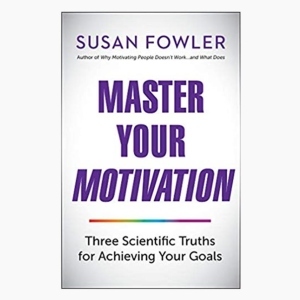 TIP: Revisit your basic beliefs about the nature of people’s motivation. The truth is, people want to thrive. No one wants to be bored and disengaged. Question your beliefs about human nature and you may discover that people want to succeed even more than you want them to. 2. Do you throw incentives at people to drive performance? TIP: You are operating on outdated approaches to motivation. Instead, help people discover their own meaningful reasons for achieving goals. 3. Do you conduct contests to drive behavior? TIP: Contests may be fun, but research shows that after the contest ends and people receive their prizes, they revert to their old behavior. Contests are a lazy way to promote new behaviors. Instead, work harder to convey the benefits of new behaviors from the individual’s perspective—not just the organization’s. 4. Do you hold people accountable by driving metrics without meaning? TIP: Frame metrics or expectations in a compelling way so people can relate to them at a higher level. Tie metrics to the welfare of the whole, a noble purpose, and the organization’s values. 5. Do you believe that people perform better under pressure? Do you think that driving your agenda spurs people into action? TIP: Let go of the idea that pressure promotes performance. Wake up to the fact that driving people generates pressure, comes off as a threat, or instills fear—strategies empirically proven to diminish the quality of people’s work, stifle innovation, endanger mental and physical health, and prohibit sustainable performance. Try talking to people about their reasons for achieving goals. When it comes to people’s motivation, what matters most is the reason for their motivation. When people thrive, you don’t need to drive. Driven managers are the worst at driving people crazy. I worked for a driven manager once. Marty was so driven to succeed that every day was a competition. He was so driven to win that he berated employees in public to get them to work harder. Marty justified his actions when he won (met the metrics). He blamed everyone else when he didn’t. One day, I had enough. I walked out of his office, got in my car, drove myself away without a word, and never returned. It’s ironic that the best thing I did during my time with my most-driven manager was to drive myself away. Thinking back, I realize that Marty’s drive came from his need for power, to prove his own worth, and to fill some personal void. Today, I actually feel sorry for Marty. But, I feel worse for people working for managers whose actions may not be as obvious as Marty’s — whose subtle actions are just as insidious. Recently, I was wary to work with a powerful Wall Street executive. I envisioned another Marty—or worse — a Marty in sheep’s clothing. The executive allayed my fears when he eliminated the word “drive” from speeches and written materials for an upcoming conference. This powerful executive recognized that he couldn’t drive people to be more just, client-focused, and service-oriented. By choosing to focus on people’s thriving, he could give up driving and tap into people’s honest, authentic, and optimal motivation. Try eliminating “drive” from your vocabulary this week and see how far you and your people can go without being driven. Susan – I’ve known a few people like Marty. Both could “Drive” a numbers. And were very proud to use that word. But in order to do so they divided teams, spread doubt, fear, lies, and had no regard for the lives of the people they led. They were master manipulators that were experts at showing their intelligence and humor to people they needed to gain power and stay in control. But their true colors were often reflected to those they were responsible for leading. And in those cases they used fear and manipulation to stay in control.